in case you were all wondering, the crock pot chili turned out alright. it was just "alright" because turns out today was sunny & not rainy at all. who wants to eat chili on a day like that? you win some you lose some. so i'm entering a picture into this week's paper mama photo challenge. sorry the clarity isn't up to par on this one, it was taken with photobooth on the imac so i had to enlarge it a bit. this week's theme is "me & mama." this is one of my favorite pics of me & my little man. 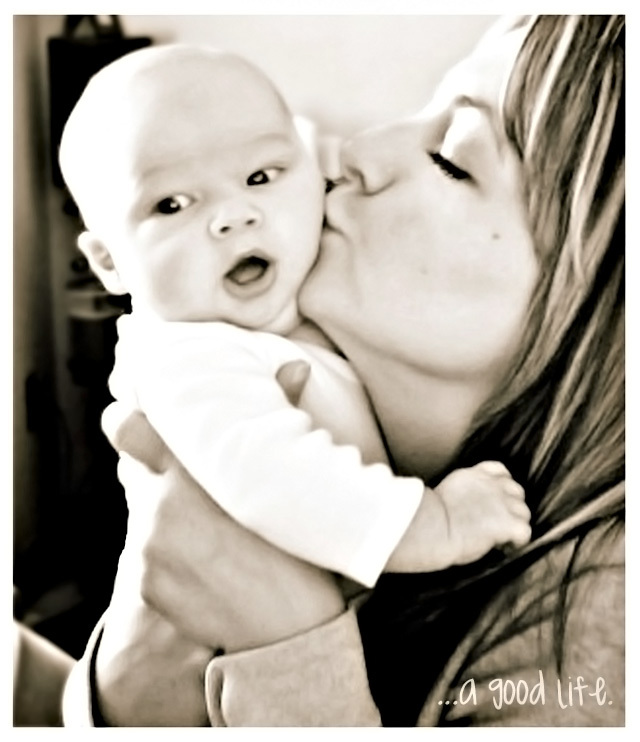 it was taken when he was only two months old, & already you can tell he's super embarrassed by mom smooches. ya better get used to it kid! it made me laugh anyway... but i'm into that sort of thing, ie: things that are random & funny. 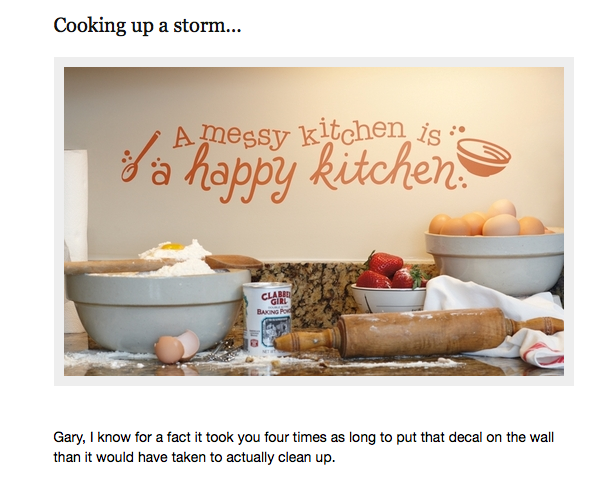 first off, i would like to direct your attention to my updated "blog love" page. some of my links weren't working & the buttons were all unorganized & my ocd nature was not ok with that. seriously, the hairs on the back of my neck would rise every time i went to that eyesore of a page. well don't worry friends, it's fixed. if i missed your blog, let me know! i'd love to put you up. it's a work in progress, fo sho. and lastly, i couldn't get enough of p-ray in his new skeleton pj's with his zebra friend so i made a seasonal halloween button out of it. feel free to grab it in all its festive glory! he'd like that. go on... do it for the baby. know what i'd like? a vote! two clicks & you're done. click. click. wasn't that easy? Such a sweet, sweet moment! aww. i love the picture of y'all together. Love the pic! I'm still trying to find the right one to enter. And I *love* catalog living...too funny! Great shot of you and the babe! Too sweet! You two are too sweet! :) Good luck with the challenge! 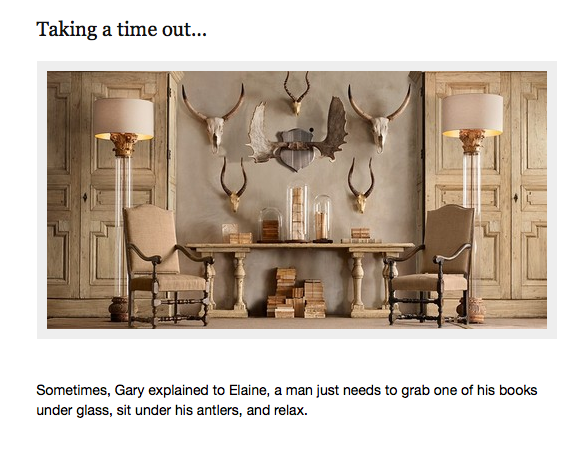 Also the catalog-blog thing: I laughed when I saw the room with the antlers. I think I received that catalog in the mail, actually. Just an FYI, while you guys had sun on the west side, we had RAIIIINNNNN on the east side. canceling a senior session. :/ so, you BETTER have loved that chili! I love this photo! The look on his face is perfect.